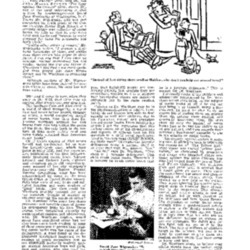 Even more remarkably, Wigransky identifies the power imbalance operating behind the nostalgic appeal to idealized childhood innocence: "Dr. Wertham seems to believe that adults should have the perfect right to read anything they please, no matter how vulgar, how vicious, or how depraving, simply because they are adults. Children, on the other hand, should be kept in utter and complete ignorance of anything and everything except the innocuous and sterile world that the Dr. Werthams of the world prefer to keep them prisoner within from birth to maturity." Scholars such as James Kincaid have suggested that 'innocence,' far from being a natural state of childhood, acts more as force imposed on the young by adults. Judging from his letter, this is a position with which te young Wigranski would concur. Other young letter writers tried to make their opinion's known to the policy makers who were working to censor their preferred leisure reading. Often, the young people who wrote the letters appealed to their own experience as comics reraders who turned out perfectly well adjusted. 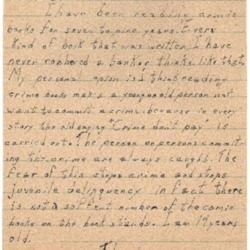 In response to the Senate Subcommittee Hearings on Juvenile Delinquency (see section 9.1.1) then condemning comics as a main cause of youth crime, Robert Merdian, 14, wrote directly to the senators. In his letter, Merdian proclaims that he has been an avid comic book reader "for seven to nine years" and yet has never committed a crime. Indeed, he makes the case that reading crime comics has the opposite effect of what adult experts were asserting at the time; far from drawing youngsters to criminality, these comics deter it because "the person or persons commiting the crime are always caught." 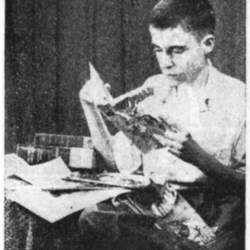 Similarly, a young reader of comics identifying himself as R. Mann responded to the introduction of the comics-banning Fulton Bill in Canada (see section 9.2.1) by writing to the editor of the Winnipeg Free Press. In it, he asserts his own expertise as a lifelong reader comics over the decision-making adults who don't "read them or really know anything about them." 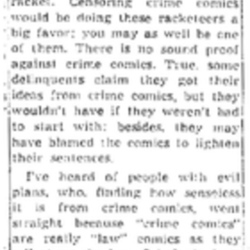 Mann claims 'crime' comics should be renamed 'law' comics because of their deterrent effect on their readers. He concludes by questioning the very basis for restricting young readers' access to comics - that their innocence makes them more susceptible to negative influence than adults: men can be influenced almost as easily as kids so why don't you censor the[ir] mags?" 10. Murder in Dawson Creek, B.C.